Should We Give Up the Process of Setting Goals? There is a legend about a man who was an excellent archer. He was travelling around the world and looking for a worthy opponent for a duel. Once in a small town he saw hundreds of targets struck on the bull’s eye. The man decided to find that accurate archer and learn his secret for how to avoid slips off target when shooting. I think, this story illustrates very well some modern trends of self-development that suggest we give up the process of setting goals. What do you think about goal setting (without goals)? As a life coach, my question is this: What was that little boy’s underlying intention? Based on his approach and results, my guess is that he wanted to experience feeling successful with his archery. But that strategy will not serve him in real life when he is confronted by a threatening moving target. to intentions or choices frees clients to look within their heart for what they want, and then invite the head to do what it does best – design the actions and follow through for manifesting the desired result. 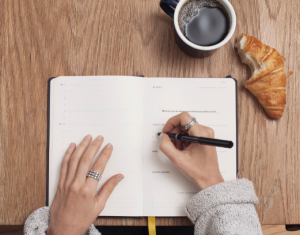 Do we need to write down our goals? Research has shown the exponential power of setting goals and writing them down. A Harvard University study followed MBA students and found that only three percent of them wrote down their goals. After ten years, they were earning ten times more than the 97 percent who never wrote down their goals. 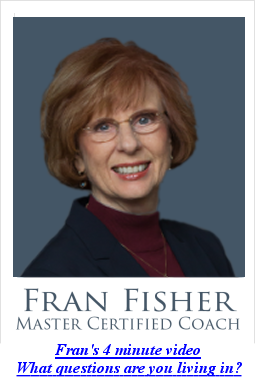 As a life coach, I assist my clients in looking first within their heart for what they want, identifying meaningful goals, and aligning them with their core values. This archery story also says to me, “Leverage your strengths.” Or, put another way, “Live true to the essence of who you are, and when you do, life lines up with more freedom, flow, ease, and joy — – success and fulfillment.” That guiding principle has become my life message. It’s the message that I gleaned from my workaholic breakdown and breakthrough to healing. 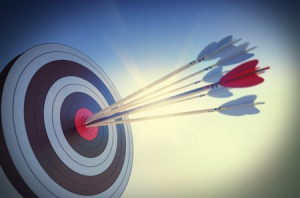 I hit the bull’s eye when my healing process led me to founding my “Living Your Vision ®” process (a transformational process for people helping live true to their vision, purpose and values), and then subsequently to discovering coaching, and founding my coaching school. It was an unfolding path. Was that achieving a goal without setting a goal? No, it was my underlying intention, desire, and commitment (goal) for a greater quality of life that was my driving force forward.